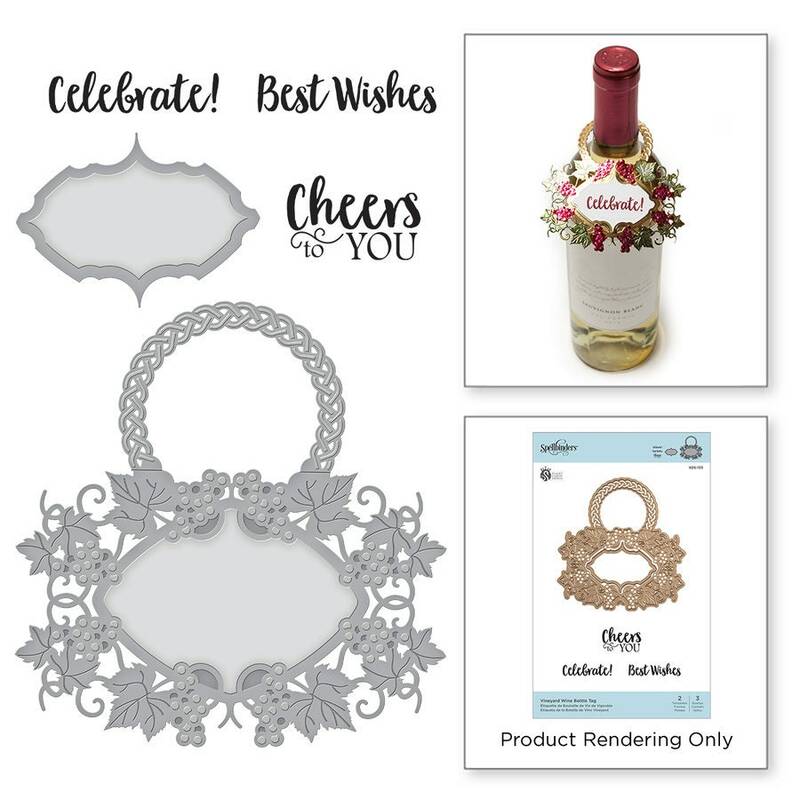 Vineyard Wine Bottle Tag Stamp and Die Set Wine Country by Stacey Caron brings both worlds together of die templates and coordinating stamps to give these images life. These cling (EVA) rubber stamps are designed to be used with an acrylic block. 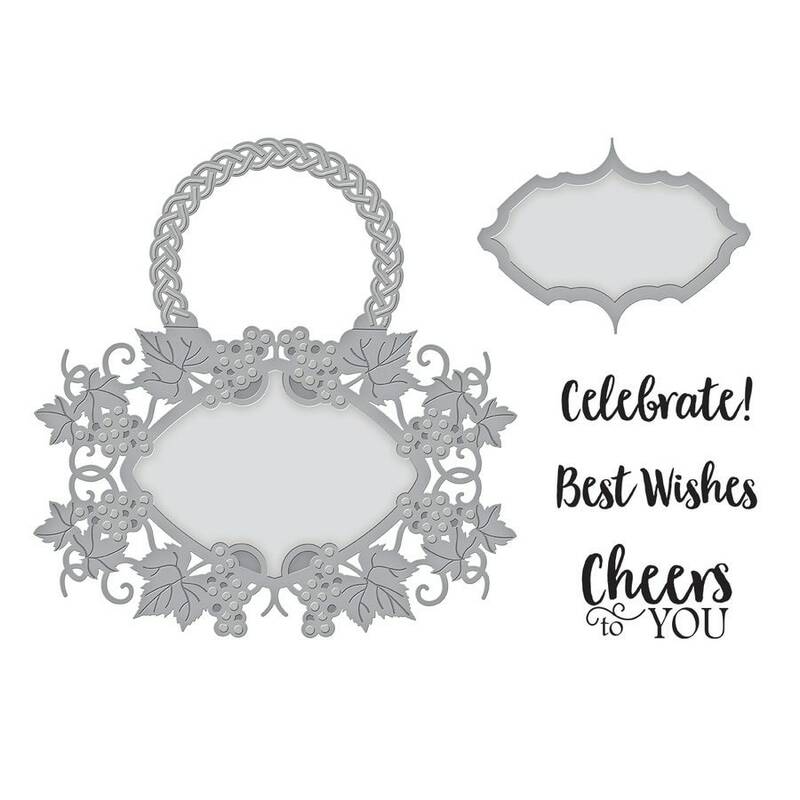 This set includes two etched dies with three coordinating stamps. 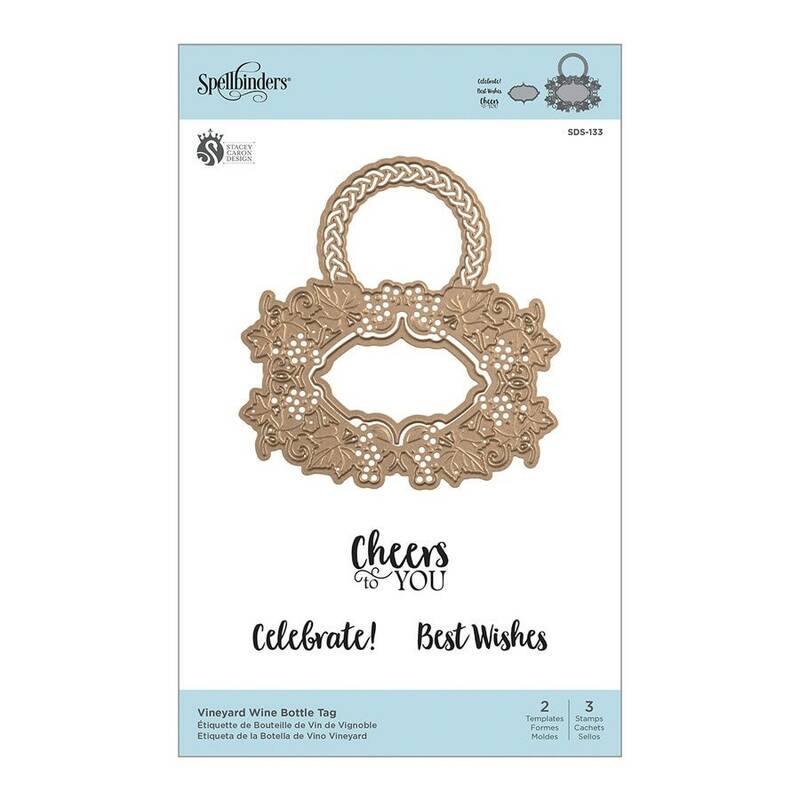 Wine Country Collection by Stacey Caron will make your projects the toast of any wine tasting, parties or gifts with coordinating motifs to create accents to charms to tags...such great fun!